The 21st Century is here. Creating an effective web presence is essential to promoting your organization. The Internet has changed the way we do business and has changed our way of life. Moving your business onto the web or revamping your current website can be one of the greatest business decisions you make. 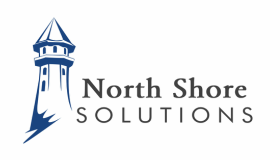 Let North Shore assist you with this process by providing dedicated support and assistance to help you through the process of designing and developing a website catered to your needs. We pride ourselves on building a relationship with our clients to better understand their business and how they can best utilize the Internet to meet the needs of their business.